Never underestimate what a pair of good leather bracers can do you for. 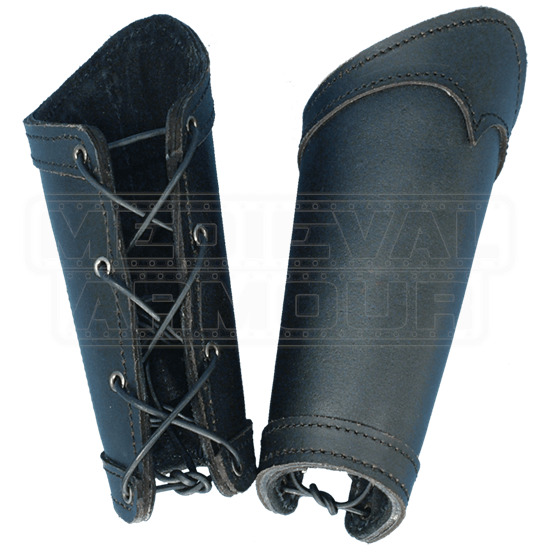 These Warriors Leather Arm Bracers are made from quality materials and offer not only a good touch of medieval style but also provide enhanced protection for any warrior to wear! 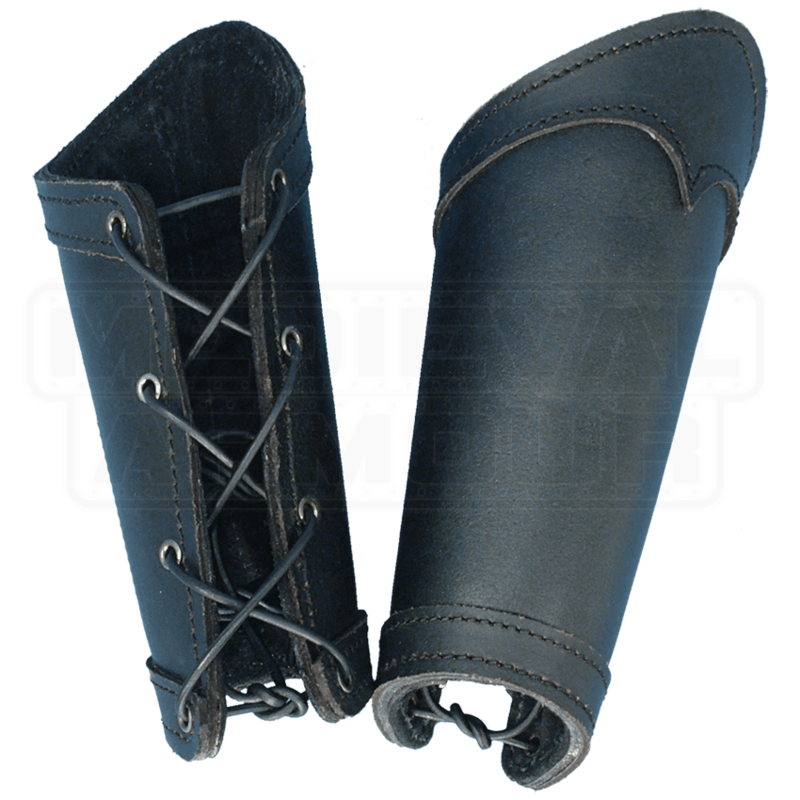 The bracers are designed to lace up the sides to make them quite versatile in terms of sizing. They also feature a stylized edge that adds an enhanced look and style to their design as well. Worn for a LARPing event, these Warrior Leather Arm Bracers can offer an added level of defense that is sure to keep your sword and shield arms safe and secure in the fight, and out of battle, they also serve well in creating a solid medieval look that will impress all those who see it. These bracers are somewhat Basic but still very nice. The Soft underside is great if you're wearing them without a shirt under them but also helps keep clothing in place if you do. 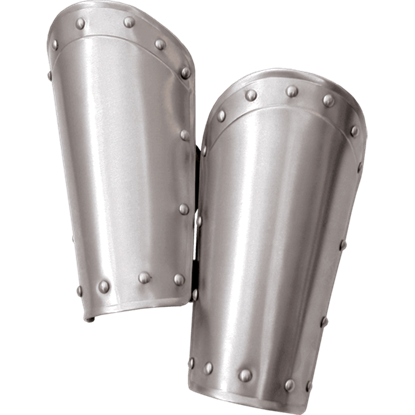 The Steel Balthasar Bracers includes a pair of arm guards featuring a rim decorated with rivets. The combination of the rounded edges and the bright metal finish provides the arm armour with a noble, knightly appearance.